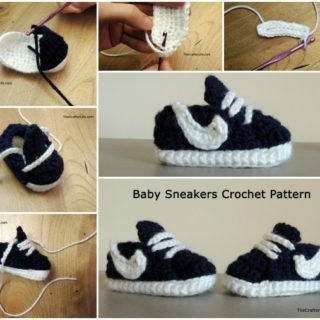 Looking for that perfect gift for an upcoming baby shower? Looking to give the little guy or girl in your life something with real meaning? 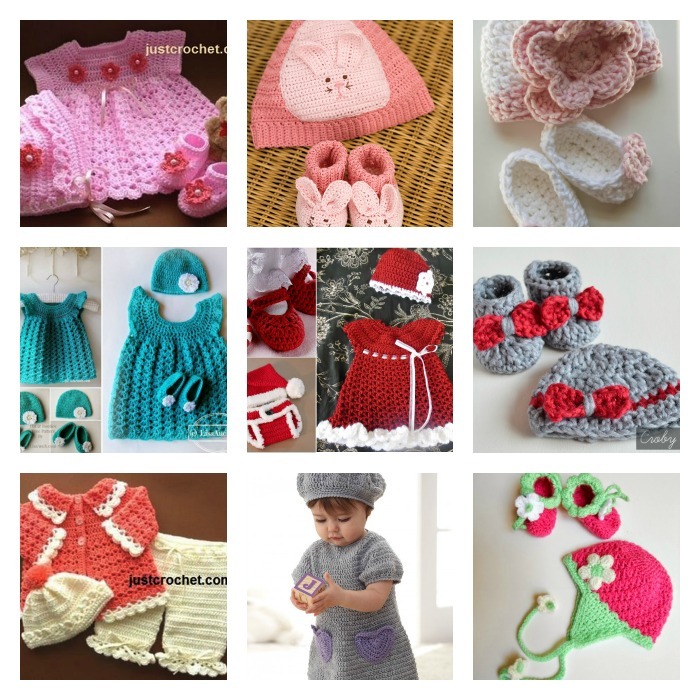 Well here’s your chances – take your pick of any of the amazing 16 Crochet Baby Gifts listed below and get busy with the yarn today. 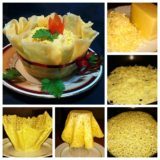 After all, anyone can just head down to the store – it takes someone really special to put these amazing goodies together by hand! 1. 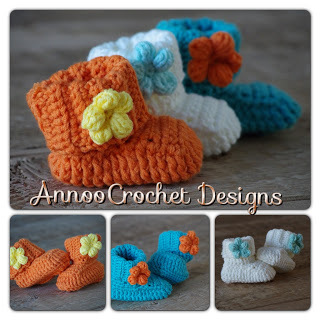 This 3-piece crochet gift set really is about as cute as it gets – not to mention the awesomeness of having three gifts rolled into one! 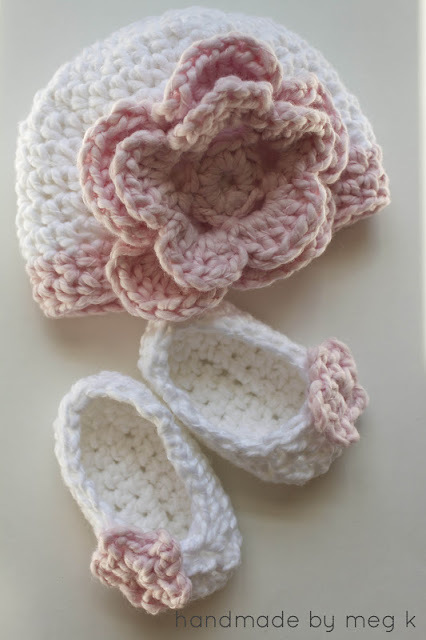 You’d be surprised just how easy these things are to knock together at home with just a few basic supplies – you’ll save money on store-bought gifts and there’s nothing that shows more thought than a gorgeous hand-made baby gift! 2. White pants with a peach pink coat and a beautiful bobble hat, this set is nothing short of gorgeous. 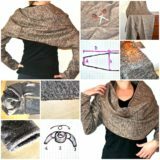 It’s also perfect for the chillier autumn nights. 3. 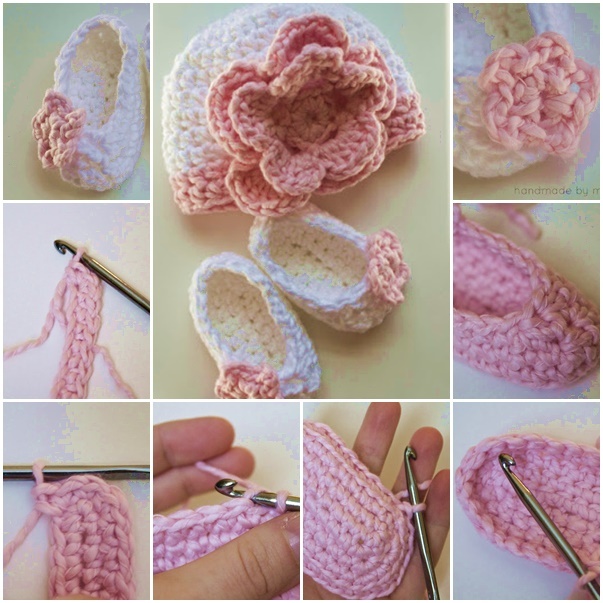 Absolutely perfect for any newborn, the combination of these gorgeous little slippers and crochet flower hat just couldn’t be any more darling! 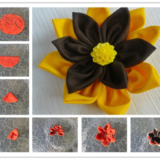 And once again, not only can you make the whole set with just a few basic supplies, but you’ll also find the patterns you need online for free! 4. 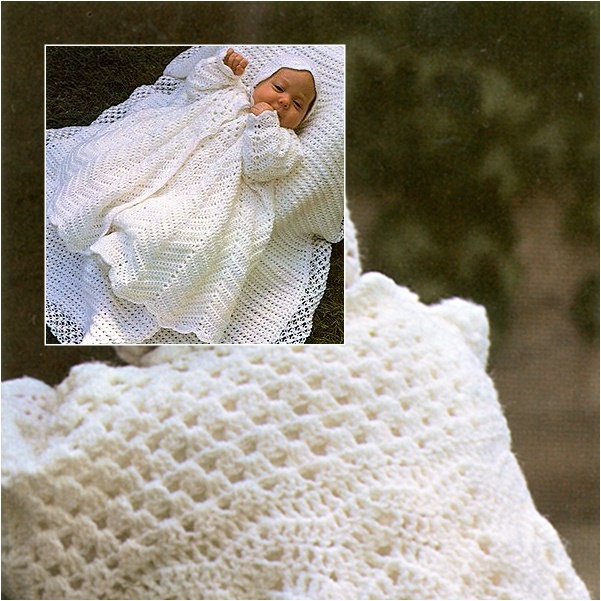 Baby’s very own Christening Coat & Bonnet Crochet, made by your own hands and with a fantastic free pattern by Craftdrawer. 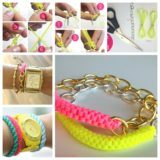 You won’t know just what you’re capable of until you give it a go, so grab yourself some yarn today and get started! 5. 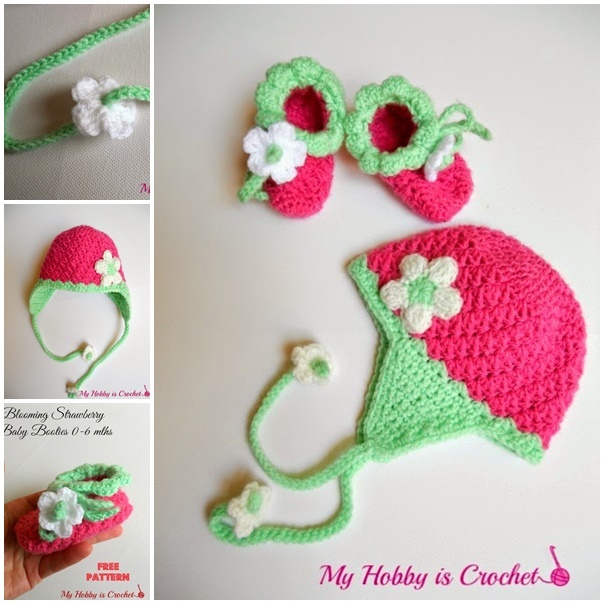 This crochet baby earflap hat and booties set is sweetness on a whole new level! 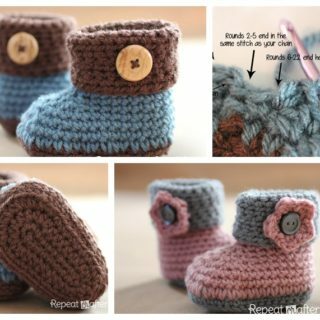 Any baby is guaranteed to look adorable while staying toasty warm in these little beauties, so arm yourself with a free pattern today and give them a try! 6. 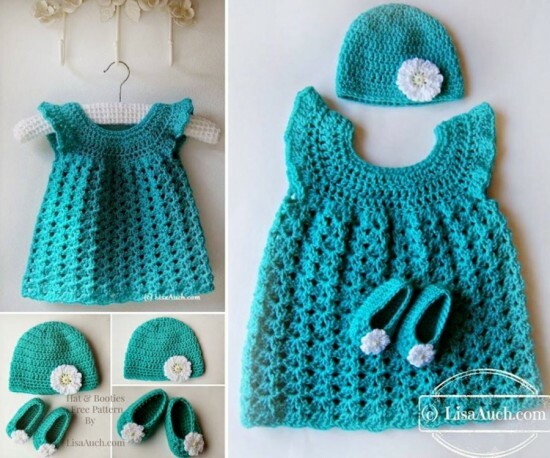 A simply stunning set featuring a crochet hat, pair of booties and the prettiest dress you’ll ever come across – all homemade and all easy enough to tackle with even modest experience with a crochet hook! 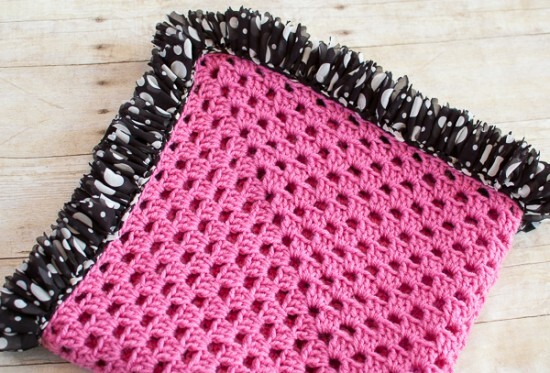 All the patterns you’ll need are free, so grab some yarn and you’re good to go! 7. No doubt the cutest bunny rabbit beanies and booties you’ll ever come across in your life are the ones you put your heart into hand-making at home! 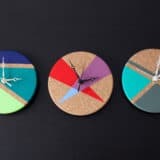 You honestly won’t believe how fast, fun and affordable these things are to make with a little DIY – grab yourself a free pattern and see for yourself! 8. 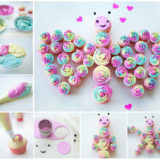 All the cuteness in the world wrapped up with a neat little bow – quite literally! 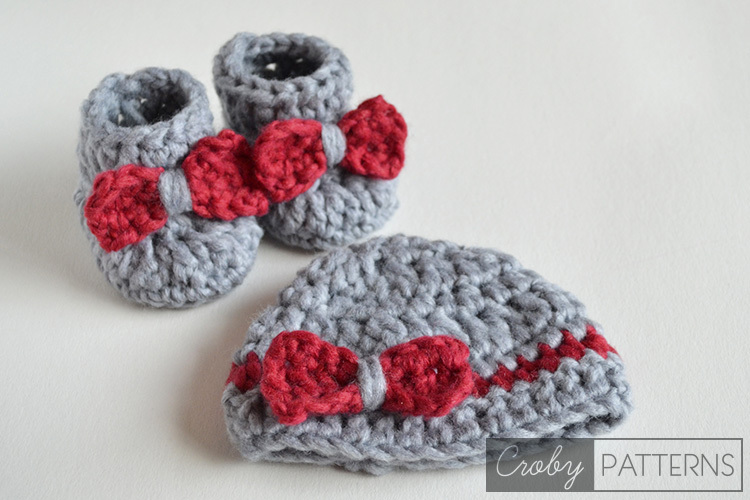 These crochet baby booties with matching beanie cap make the perfect gift set for babies of all ages and couldn’t be better suited to boys and girls alike! 9. 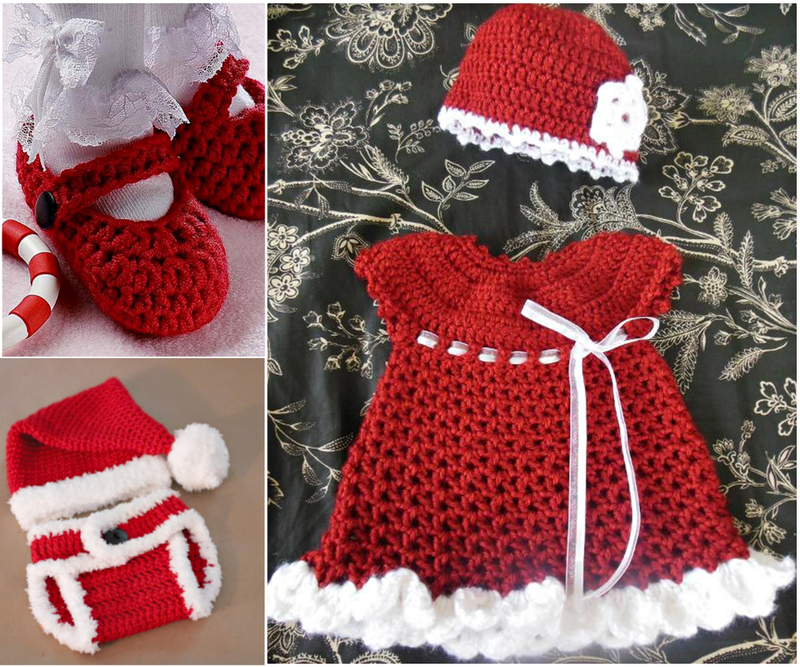 Transform that special little girl into Santa’s most gorgeous little helper ever with this – a super-cute crochet Christmas gift set. 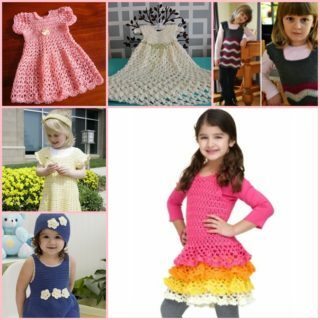 Plan ahead and give the little girl the Christmas of her dreams – all with an amazing 100% free pattern! 10. 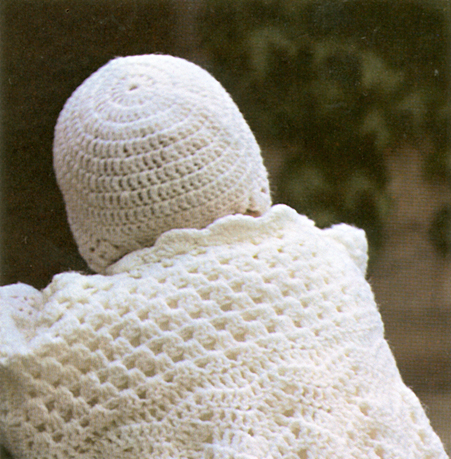 Thanks to Yarnspirations (!pdf link) for sharing this sweet and snuggly crochet dress with heart-shaped pockets, complemented by a perfectly pretty matching hat! 11. 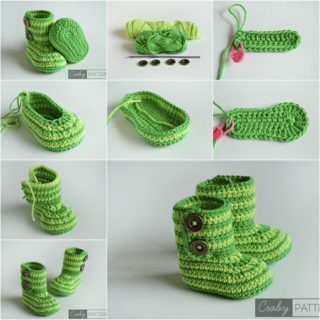 Make a baby’s first pair of booties the kind of keepsake they’ll hold onto for life! 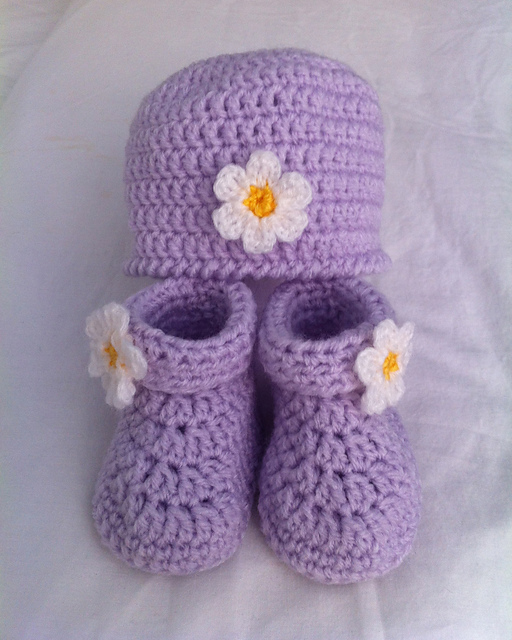 And while you’re at it, why not throw in a gorgeous matching hat for good measure? 12. 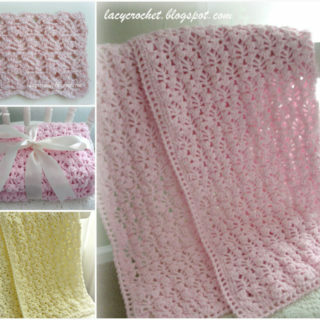 How about a super-sweet and snuggly diaper cover with a pretty pink and white design for guaranteed giggles? 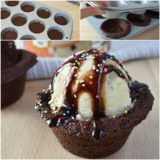 It’s the kind of essential you can never have too many of – especially when it’s a loving homemade beauty like this! 13. 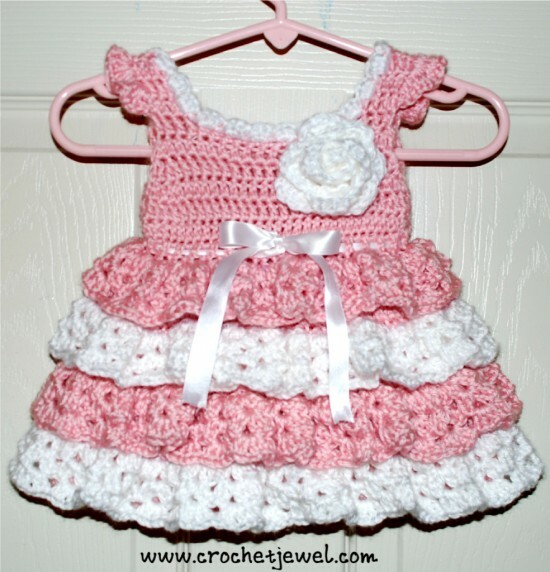 Another outstanding baby dress that little lady is bound to hold onto for life, courtesy of the folks at Crochet Jewel. Pink and white stripes complemented with a wonderful white flower detail to the front, it’s the kind of loving head-turner money cannot buy! 14. 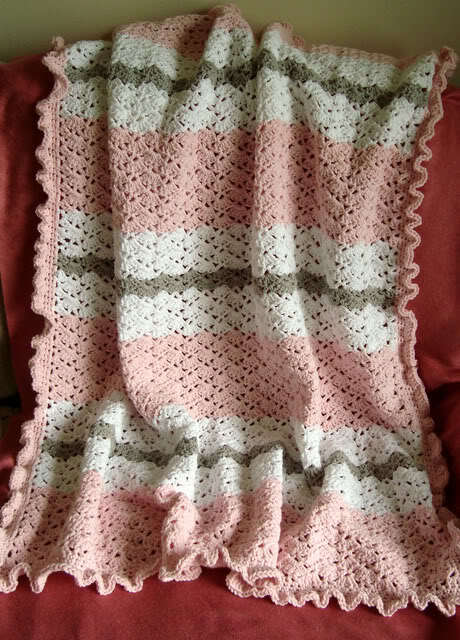 Another essential both baby and parents cannot get by without, why not put together a 100% unique, 100% loving token of genuine affection with an easy-to-follow crochet baby blanket pattern? 15. 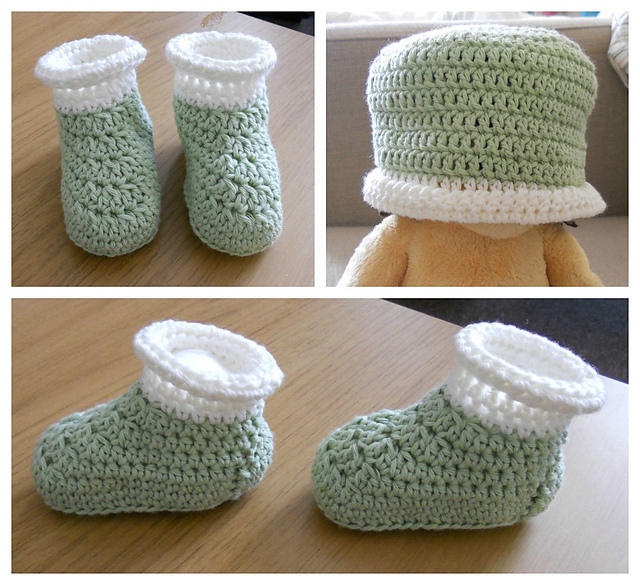 That perfect hat and booties gift set for an equally perfect little newborn. Help give baby the best start in life with a gift that’s practical, pretty and just plain perfect in every way! 16. 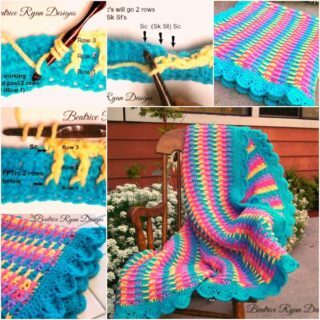 Last up, try your hand and making this sweet and sassy ruffle edge baby blanket which is guaranteed to become baby’s favorite comforter. 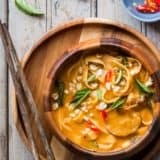 The pattern’s free, so what are you waiting for?